10 a.m. to 11:00 p.m. Taking a break from piecing together heritage buildings from different parts of the country to bring back to Bagac, Bataan, Jose “Jerry” Acuzar’s new project is about restoration without uprooting. 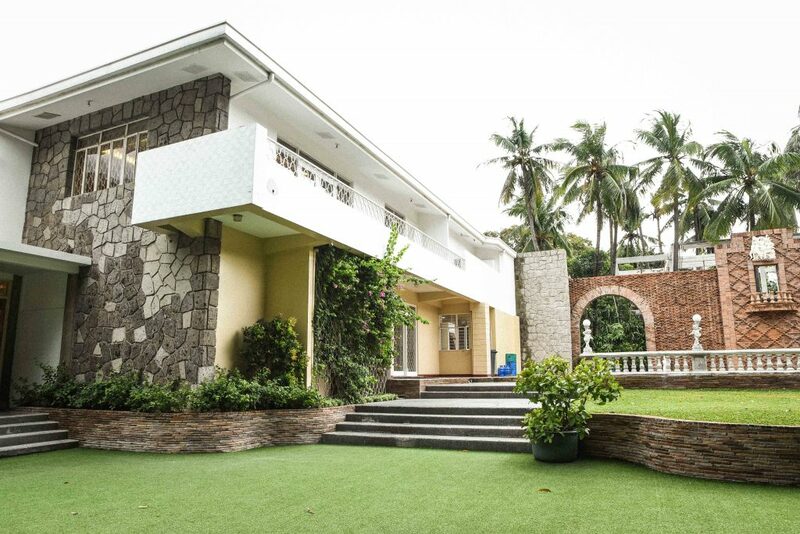 The latest of which is the Casa Juico along Roosevelt Avenue, Quezon City previously owned by foremost post-war businessman Felipe Sangil Juico. 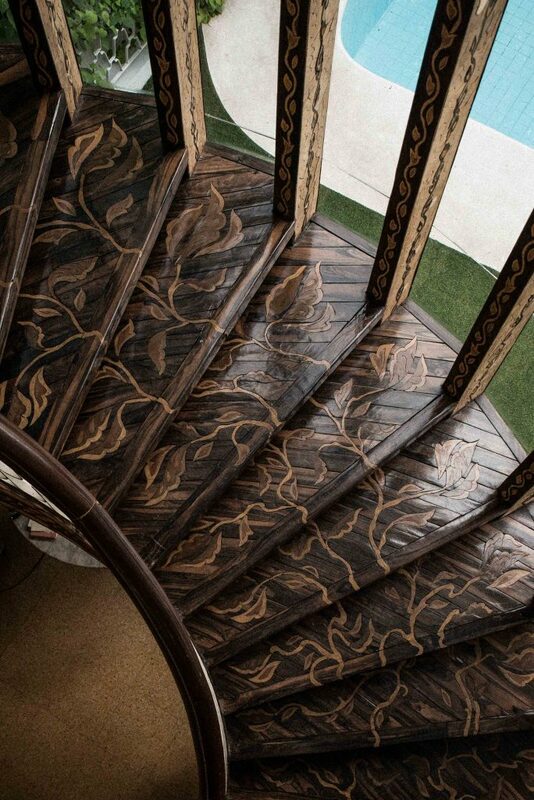 The property is an Art Deco-style mansion designed by National Artist for Architecture Pablo S. Antonio in the late ‘60s. But apart from its ornate interiors, a mosaic piece depicting the famous painting “The Kiss” by Gustav Klimt, and Fernando Amorsolo paintings, the latest addition to the soon-to-open boutique hotel is Las Casas Manila by Margarita Forés. 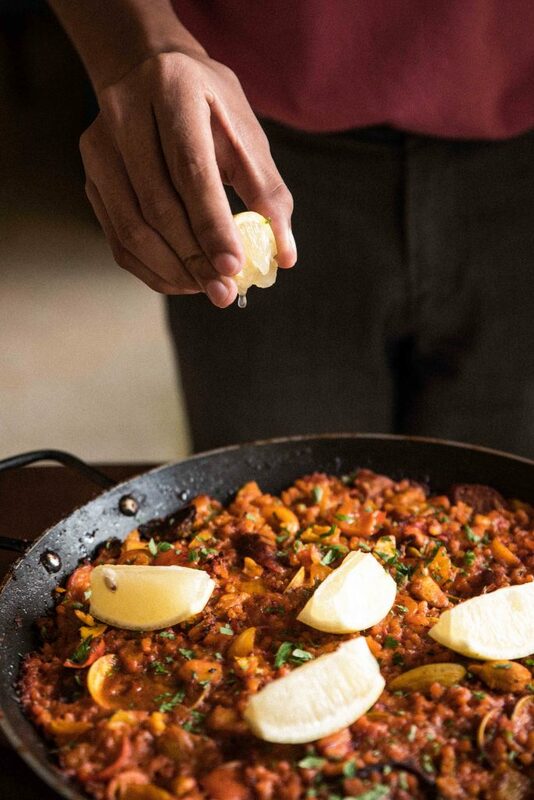 Forés’ newest restaurant which serves Spanish dishes, is both a detour from her usual Italian cuisine-centric chains and an extension to the Las Casas’ dedication to preserving Spanish colonial-era houses. 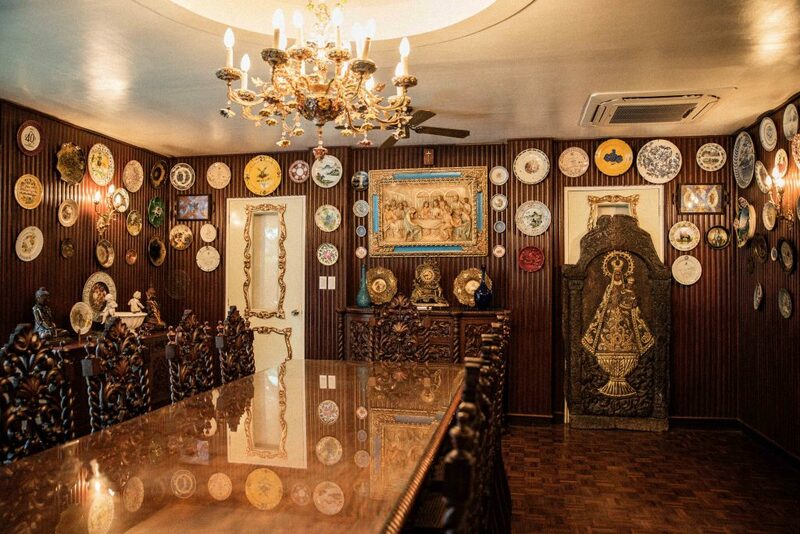 A mosaic of some of the sites relocated at the 400-hectare property in Bataan serves as a backdrop for diners, along with a dwindling staircase leading to an expansive second-floor space which survived from being ravaged by fire last year. All these aesthetically-pleasing visuals can be a bit distracting for diners who came in to see what Asia’s Best Female Chef for 2016 has in store for them. 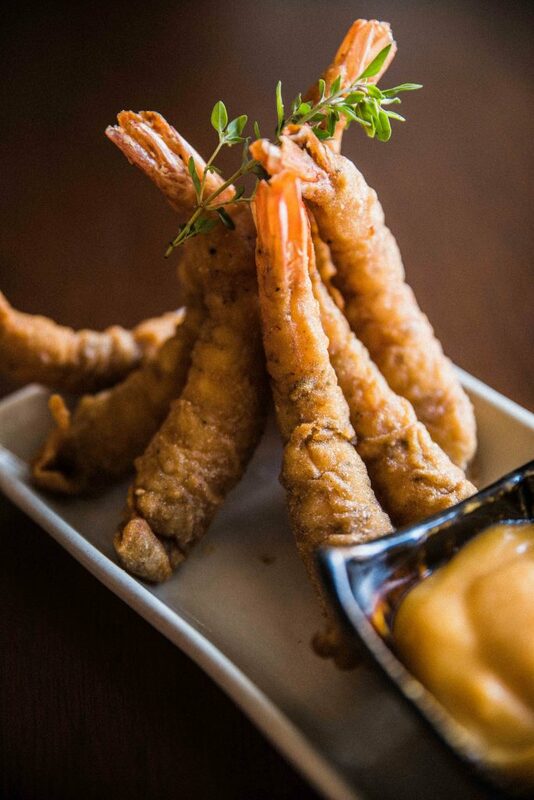 For starters, their gambas a la Gabardina, made of Cerveza Negra deep-fried prawns, may be a good way to get acquainted with the rest of the menu with its mayonnaise-based dip, as mayonnaise seem to be a recurring ingredient in other dishes like the Tortilla de Patatas with Jamon Serrano and Paella Valenciana. There are also pasta dishes that showcase her mastery of Italian cooking. 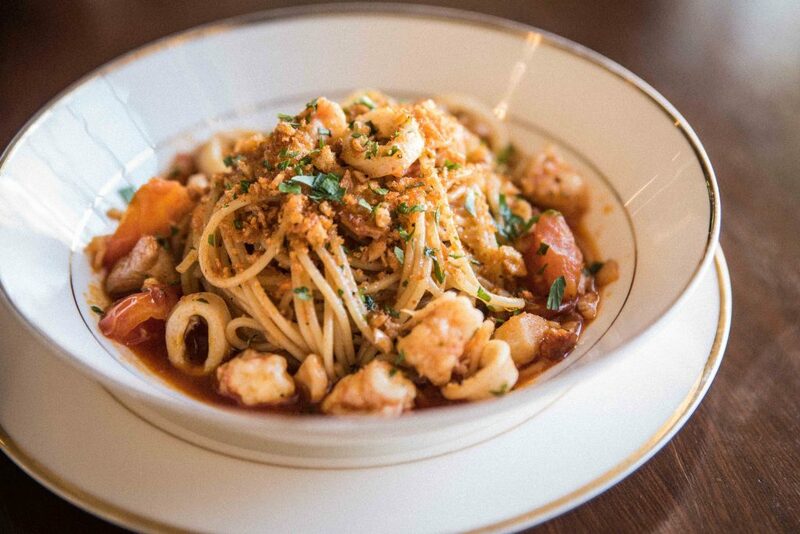 The spaghettini con Mariscos proves this point with its thin strands of pasta cooked al dente with seafood in garlic-olive oil and paprika, topped with crispy garlic bits. 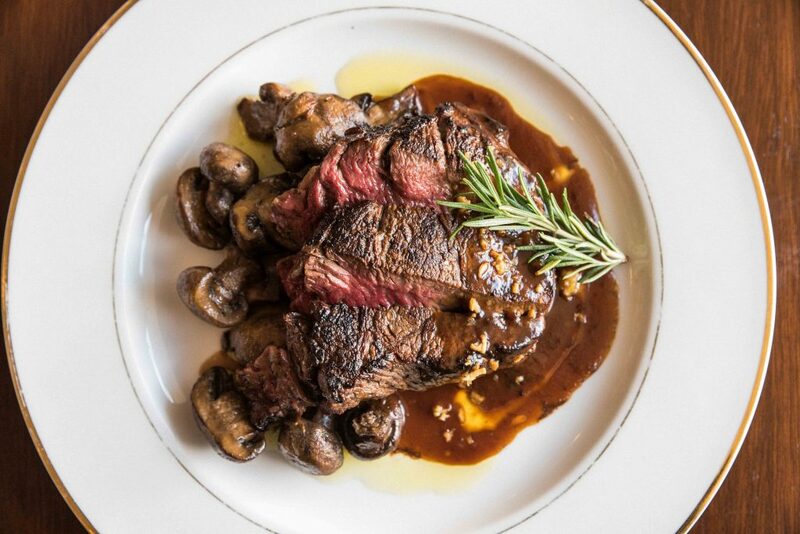 If you’re looking to indulge, there are options for mains like lamb chops, grilled ribeye, and beef tenderloin Salpicao steak which comes with a side of mushrooms. 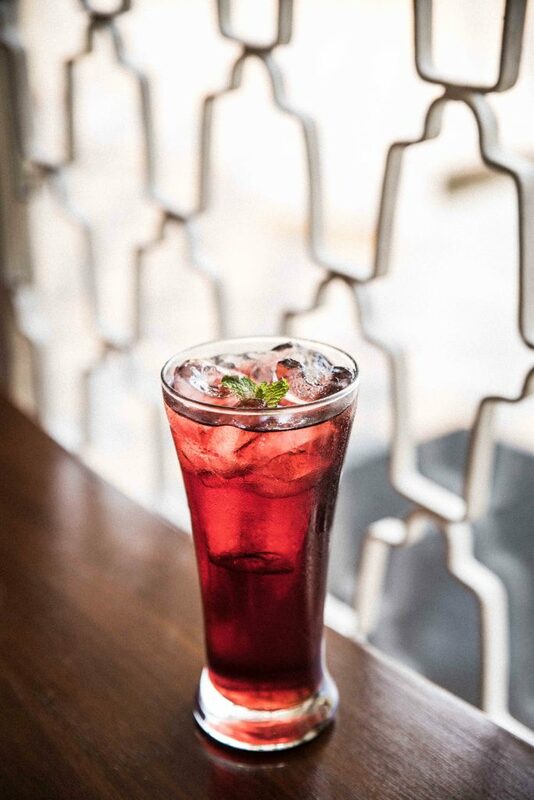 Las Casas Manila serves a vibrant red iced tea infused with Roselle flowers, along with shakes made from local fruits to go with the food offerings. 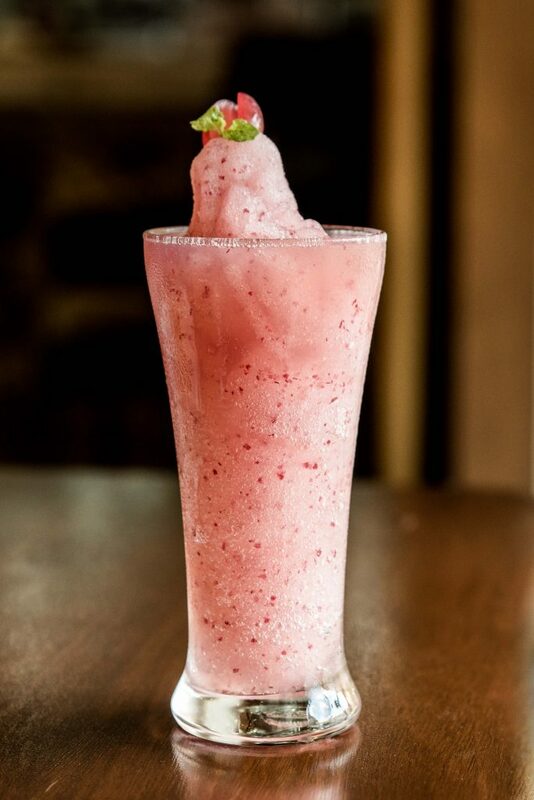 Given its location and Forés’ reputation to boot, some might be intimidated to come in, but that should not be the case as they accept walk-ins to cater to last-minute diners. 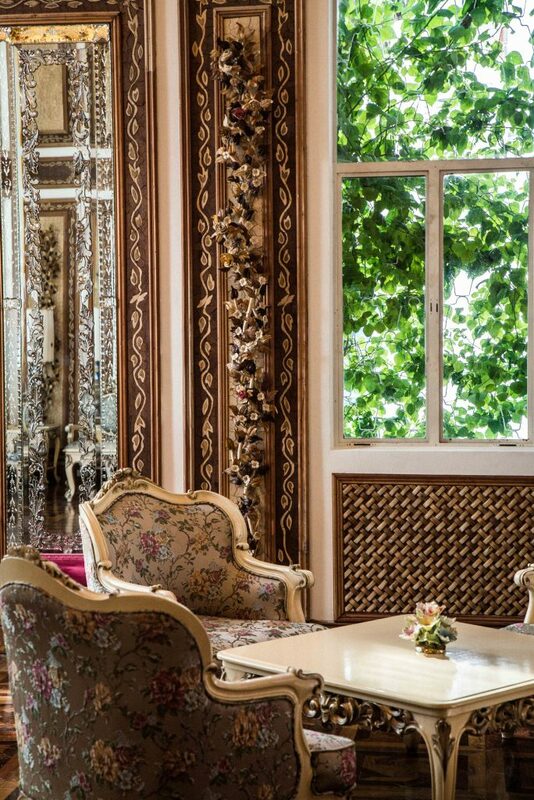 They also host events and functions by the mansion’s manicured lawn or in their private dining area whose walls are clad with Juicos’ personal collection of decorative plates from their travels around the world. Bask in the Rococo-style interiors while indulging in Las Casas Manila's beef tenderloin salpicao.